The last few weeks has seen the appearance of a huge number of moths with a considerable diversity being attracted to our lights and entering the house at night. 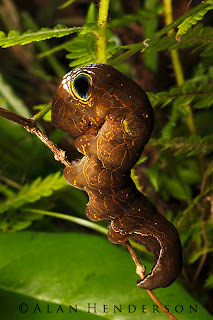 One of the most abundant are the fruit-piercing moths from the family Noctuidae. 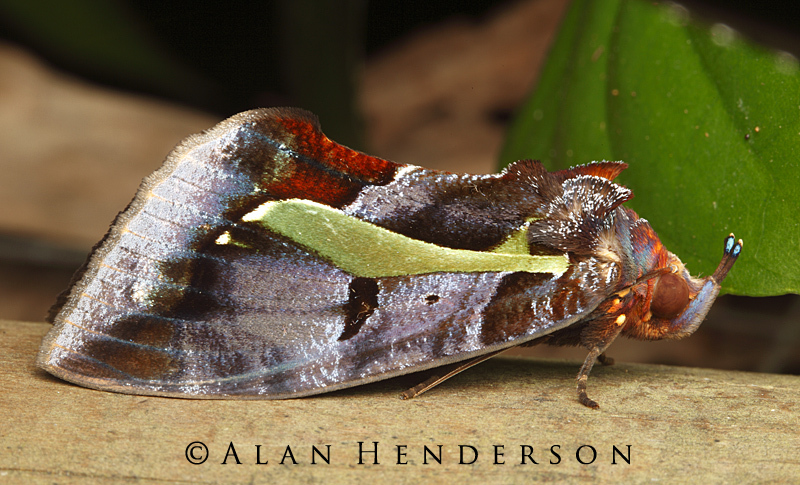 Many of these moths are quite large and are often adorned with spectacular colours and markings. These moths are attracted to fruits both on and off the tree. The feeding habits of these moths do not endear them to orchardists due to the damage they cause. I recently observed a tree fruiting at Crystal Cascades which had in excess of twenty of these large moths of various species feeding on its fruits. A large adult Nephila pilipes had her web set-up within the branches of the same tree, and was reaping obvious rewards. 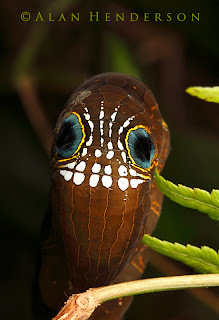 At the same location I found one of the largest caterpillars I have ever seen, complete with very convincing eye-spots. The caterpillar is the larva of one of the largest moths in this group, Phyllodes imperialis. The eye-spots and apparent teeth are enough to startle many would-be predators. May not matter much, but I'm quite sure the last image doesn't mimic teeth, but a reflection. One like on a scale like surface, as you would see it on snakes. The "eyes" are strange to me also - doesn't really strike me as snake-eyes. But maybe it's a specific species it's mimicking. Or its trying just to confuse predators. It's kinda interesting also that those camo's have to work from different perspectives. Quite an art task.